Looking to start your camping adventure in style? Wanting to find travel trailers for sale near you that will give you the best of both worlds when it comes to camping? If so then you need to come to your local Airstream dealer in Wisconsin and see one of the many Airstream for sale. Ewald’s Airstream of Wisconsin is ready to help make all of your Airstream travel trailer dreams come true, which is why we had a team of people who are happy to answer any and all questions you may have about one of the many new and used Airstream for sale. That includes questions about the island getaway travel trailer the Tommy Bahama for sale. This Airstream travel trailer for sale is ready to whisk you away on an island breeze no matter what your destination may be. The Tommy Bahama for sale is sure to become your home away from how with all the creature comforts you will need. This Airstream trailer for sale features wood tones, beach styled decor and with wood plantation shutters will make you feel like you are waking up in a beach bungalow. Tropical floral design with light and bright colors along with panoramic windows give this Airstream camper a light and bright look. A fully equipped kitchen with top of the lines features makes this Airstream Ideal for cooking and preparing food. Plus with a cove for the sink and stovetop gives you ample space for serving food. This Airstream for sale is going to make your life of the party with a built-in back lit bar complete with a built-in chiller for keeping your drinks perfectly chilled even on the hottest of day. Take your party outside and enjoy a beautiful sunset with your cocktails in the complementary Tommy Bahama chairs and cooler. Want to feel that island breeze from the front to the back of this Airstream travel trailer, then you will love the rear hatch that opens up for easy packing up or the trailers and letting a breeze flow through with a removable screen door. 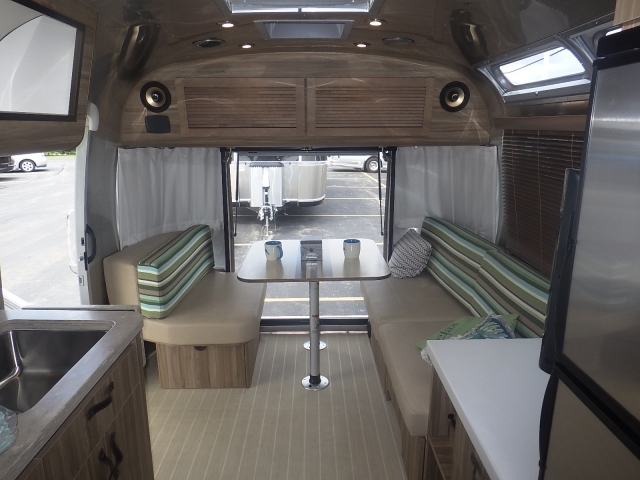 Never worry about being bored on a rainy day in this Airstream for sale with a variety of technology features including a surround system, a Blu-ray and DVD player and much more. The Airstream camper can comfortably sleep up to four people and with more storage than you will know what to do with. Count on the Airstream Tommy Bahama to last far longer than its boxy competitors, and with its lightweight and sleek design, you will not even feel the impact at the pump. 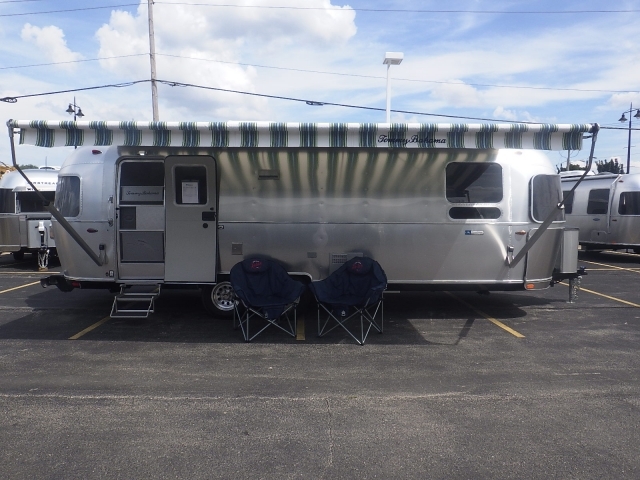 When you are looking for an Airstream trailer for sale come and see the Tommy Bahama for sale here in Franklin, Wisconsin. Come to your local Airstream dealer in Wisconsin and see the all-new Airstream Campers for sale here in Franklin, WI. When you are looking for an Airstream dealer near you, come to Ewald’s Airstream of Wisconsin at 6269 S 108th St, Franklin, WI 53132.